At a presentation by Historian David Wetherill held at the Mill Park Library on the 21st of August 2017, David discussed earlier claims made by a number of other Historians that there were perhaps up to 600 deceased individuals from the Mont Park Hospital for the Insane (including the Mont Park Military Mental Hospital) buried in unmarked graves in the early 1900’s in and around where the Preston Cemetery is today on Plenty Road. 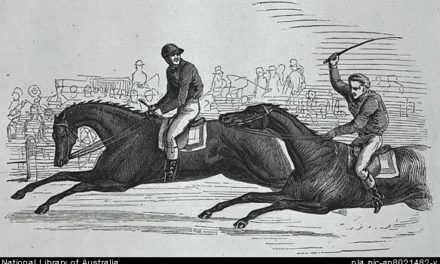 Arguably, the validity for these claims was perhaps in part legitimised by the view held by some across time that patients from the Mont Park precinct who were ‘shunned/cast out’ or ‘locked away’ and perhaps ‘forgotten’ back in those days, could well have suffered this most undignified of fates. 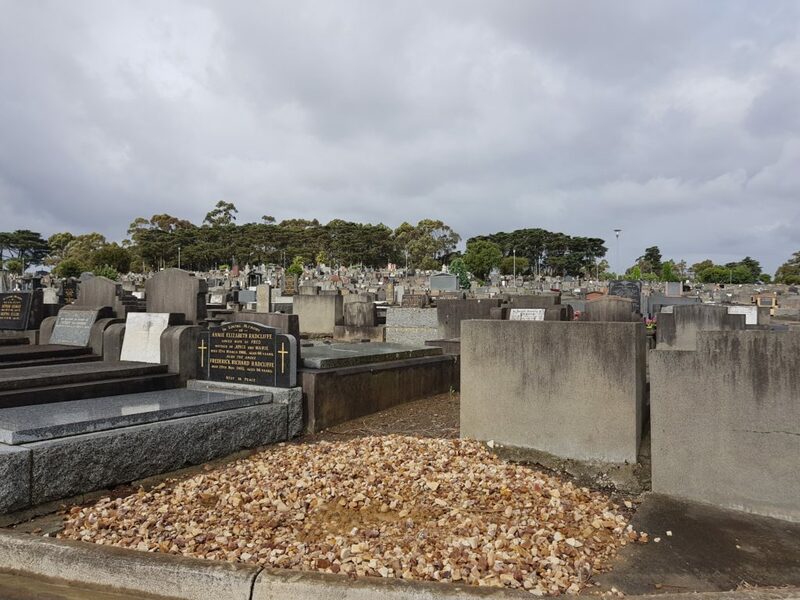 These claims were taken seriously enough at the time for an 11-month investigation to be conducted in 2012 – 13 by Sydney Geophysicist and Archaeology Students with funding ($15,000) made available by La Trobe University and the Greater Metropolitan Cemeteries Trust. This investigation however concluded that burials (in unmarked graves) in the area did not take place as claimed. The Strathallan Section of the Preston Cemetery. The investigated ‘open space’ is on the other side of the Monterey Cypress tree line in the background. Image courtesy of Gary Cotchin 2018. The open space on the other side of the Monterey Cypress tree line looking back towards the Strathallan Section of the Cemetery. This is the area that was search for the rumoured ‘hidden’ graves. 2018. Image courtesy of Gary Cotchin. 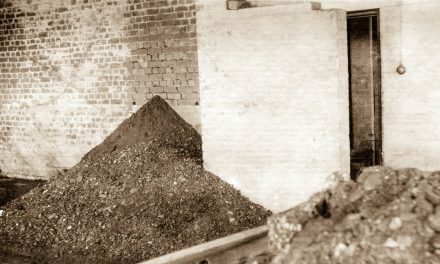 The findings followed the utilisation of ground-penetrating radar that looked for soil irregularities in the area, as well as substantive historical research that found that the Mont Park Hospital had a clear system for dealing with deceased patients that included post-mortem examinations, transfer to municipal morgues and then release for burial to family, friends, or, in the case of destitute patients, burial by the state government contracted undertakers in formal cemeteries (including the Preston Cemetery). Furthermore, individual deaths within the Mont Park precinct in this early 1900’s (and presumably beyond) were logged by Mont Park officials and reported comprehensively to the State Government within publicly accessible Annual Reports. However, despite the apparent de-bunking of this earlier claim, the Preston Cemetery on Plenty Road (in particular the Strathallan Section of the Cemetery) and the surrounding area remains a fascinating link to the past. In 1838, the land that is today occupied by the Preston Cemetery, was purchased by Neil Campbell, who 4 years later (in 1842) sold it to Malcolm McLean who used it for cattle grazing with the farm area run by Neil McLean. Allan McLean (Neil’s father) who died in 1845 was believed to be the first person buried in this location. 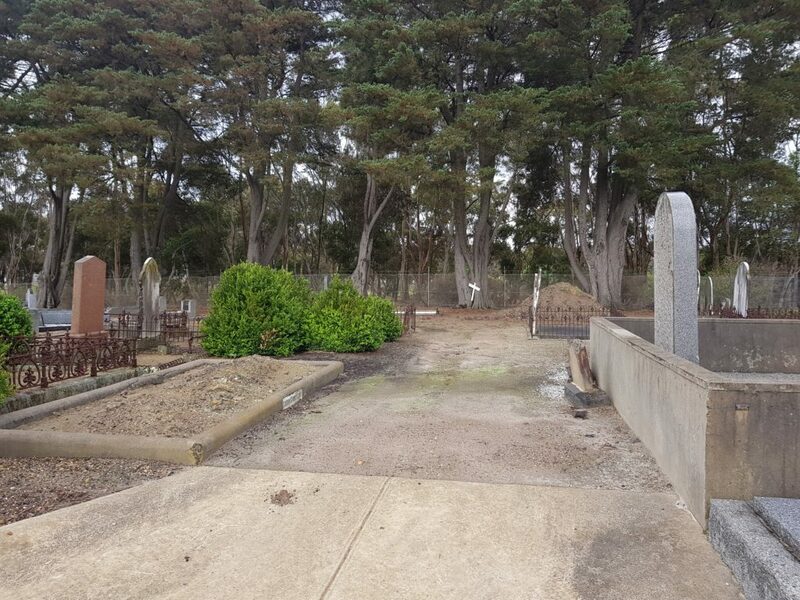 His tombstone and presumed burial plot remain there to this day in what is believed to be one of the earliest burial sites in Victoria. 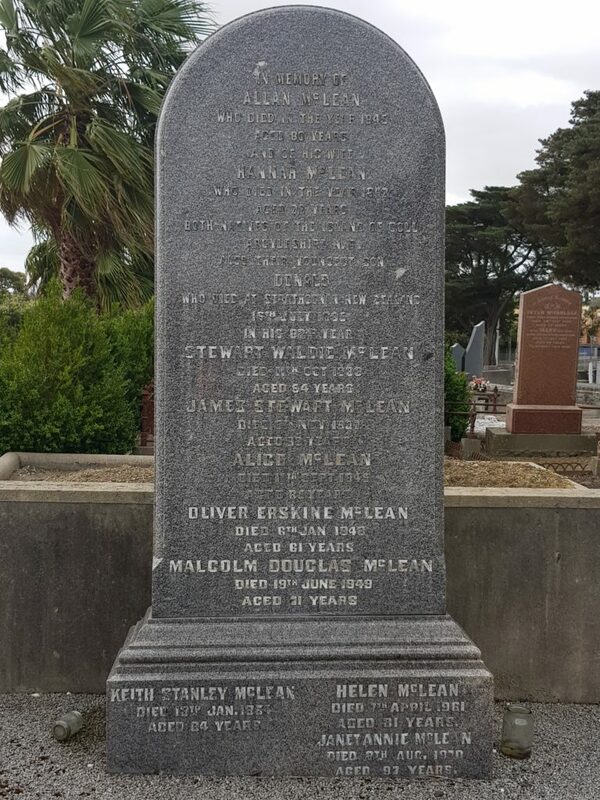 In 1964 Malcolm McLean donated just over one acre of his property (including the location of his own family’s burial site) as a formal public Cemetery. 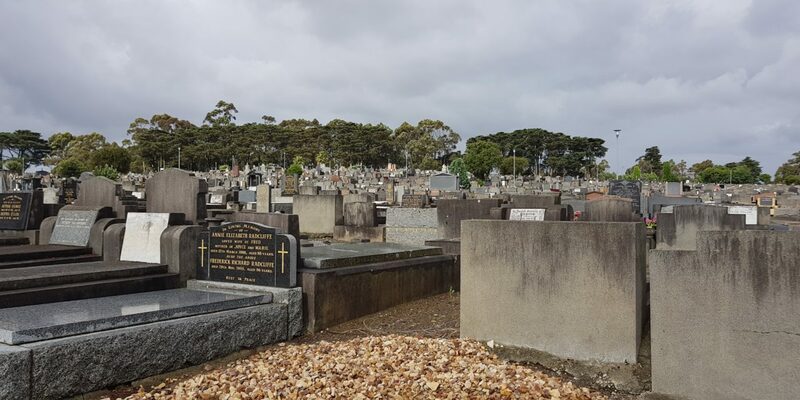 Over the next few decades the Cemetery was known by many names including McLean’s Cemetery, McLean’s Cemetery Darebin Creek, Darebin Creek Cemetery, Strathallan Darebin Creek Cemetery, and perhaps most often known as the Strathallan Cemetery. Allan McLean’s (and the McLean Family’s) tombstone and grave site located in the Strathallan Section of the Preston Cemetery. 2018, Image courtesy of Gary Cotchin. 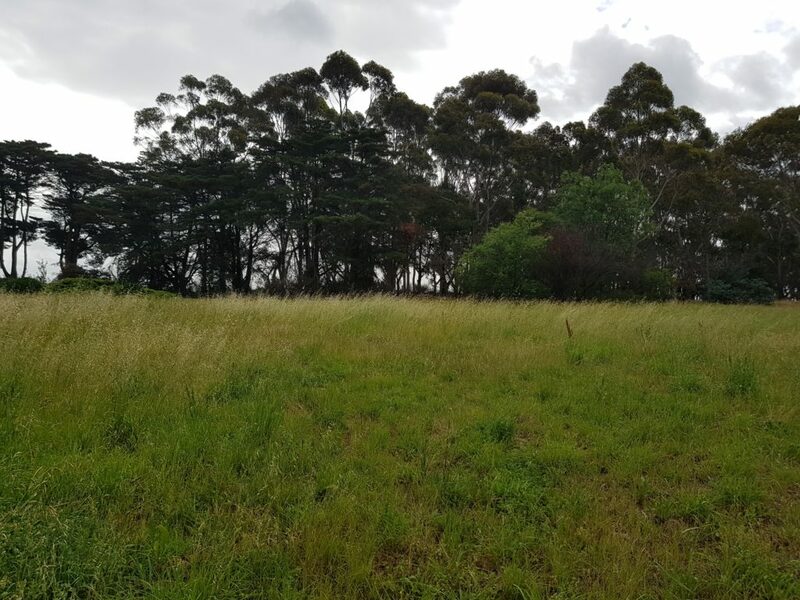 Looking across the Preston Cemetery to the Strathallan Section of the Cemetery that is immediately in front of the Monterey Cypress tree line. The Cypress trees are reported to be about 80 years old. 2018. Image courtesy of Gary Cotchin. In 1909 the land to the north and north east of the Cemetery was purchased from the McLean Family by the State Government so as to establish the Mont Park Hospital for the Insane. 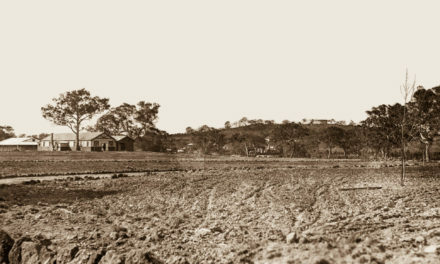 And in 1910 building commenced on the Hospital site and over many decades the nearby land was used as Mont Park Hospital farmland where cattle and sheep grazed under river red gum trees, and there were pig sties, vegetable gardens and orchards.In 1917 there was an expansion of the Cemetery, from about 1 acre to 3 acres in total area. 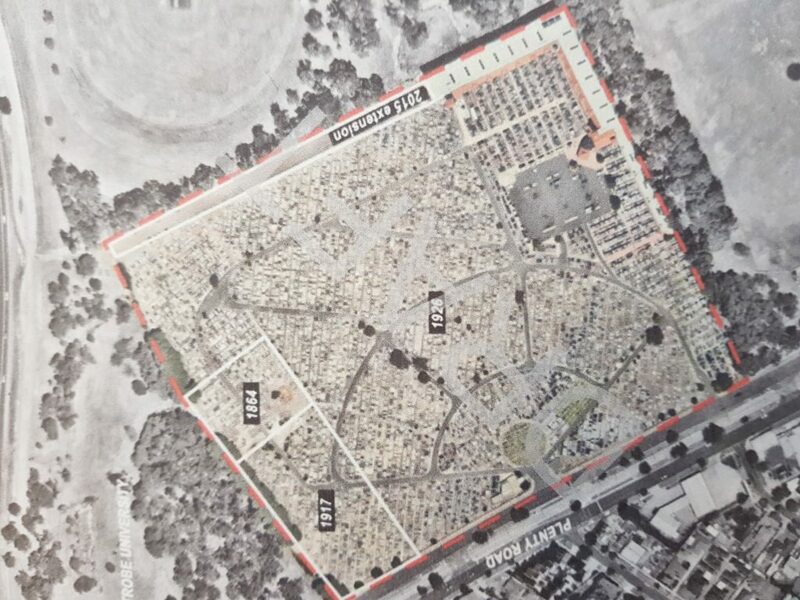 In the late 1920’s and early 1930’s there was a much more substantial extension of Cemetery with a further 19 acres of land added following negotiations with the Preston Council and the State Government (see image below). Above is a more recent aerial image of the boundaries of the Preston Cemetery showing the original Strathallan Cemetery location (centre/left) and the subsequent 1917 and 1926 extensions. 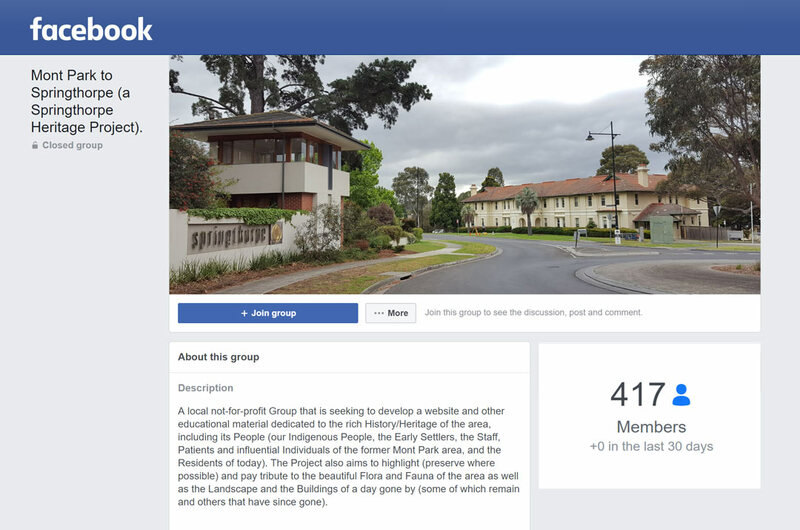 The Preston Council (which in 1994 amalgamated with some of the Northcote Council areas, to become The City of Darebin Council) operated the Cemetery until 2010, after which the management of the Cemetery was taken over by the Greater Metropolitan Cemeteries Trust. The Strathallan section of the cemetery remains in place in its original 1845 location to this very day. PreviousThe naming of ‘Mount Sugarloaf/Sugarloaf Hill/Gresswell Hill’ – The search for the facts. NextRemnants (…..of a day gone by).